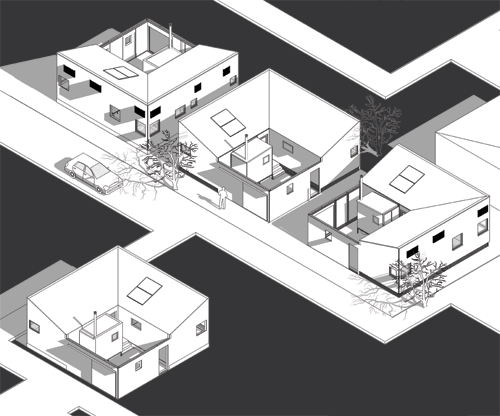 The EggCube Project, entitled “Houses for the Masses”, has been written throughout a period of two years (2009 - 2011). With theoretical studies and modern fractal geometry, the project tries to examines the possibility to optimize the use of resources in areas with minimal capital stock. The framework for the whole project analysis is the technique called 5Ws and 1H [Wig, Sivertsen, 2004] – W standing for the fundamental questions of what is the subject of the research, why is it important, where and when the project is to be implemented and finally who will be affected by the project. The last part will be dedicated to trying to answer how to effectively deliver the research result and will lead to construction drawings. This structure has been deliberately chosen due to several reasons, namely; it enables to gather information and data from the different vantage points, each question leads to a factual answer — these facts are necessary to build a complete picture of the problem and they present a clear framework for further deliberation.